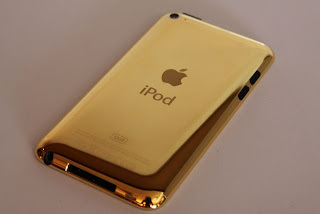 iPod Touch Water Repair - Most Trusted IPhone Repair Specialist. Iphone 3GS/4/4S/5/5c/5s, IPAD 2/3/4, Mini, Air, IPod Touch 4. Nobody can fix it? Bring It On. These are the most common story of iPod Touch Water Damaged request. The Quicker You call us, The Easier iPod Touch is fixed. Water Damaged iPod Touch is The hardest repair task. Common Question: How do I know my ipod touch is water damaged? In the headphone jack, there's a piece of litmus paper. Use a flashlight to look into it. If the paper is blue/white, it's not water damaged. If it's pink, it is. My iPod touch went through the washing machine because I had it in my pocket. I had water spill on my ipod touch the other day. It still turns on, but the touch screen won't work and there is visible water underneath the screen. If you have water damage DON'T PRESS THE ON BUTTON!!! Water and electricity don't mix so it will ruin the circuit. Have Been Rescued Successfully !! Most Trusted iPod Touch 4 Screen Repair Services.